How did you all decide which schools you wanted to apply to? Did anyone have a specific number of "reach", "target", and "safety" schools they applied to? Hey there. 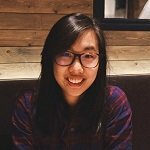 I applied to a total of 5 schools during my MBA application during round 2. My category of my specific targets shifted when my GMAT score changed. The criteria for me was that I do not want to waste my time on applications of schools I do not want to go to. Beginning of round 2 (GMAT 680): 2 competitive, 1 reach, 1 far reach. End of round 2 (GMAT 740): 3 safeties, 1 competitive, 1 reach. I knew people who only applied to 2 competitive schools because that's where they want to be. I also know people who did 10 apps because they want to spread their risk. I think school selection boils down to how much risk you are willing to take for your current as a candidate. I also wrote extensively about school selection here. I agree with Mimster on several accounts. For one, I believe you should not apply to b-schools which you would surely not join- its a crunch on your resources. Secondly, in my opinion, applying to 5-7 b-schools is a good number. Every application, when done the proper way, takes considerable time, and my strategy is always to put larger effort into a decent number of applications rather than churn out low quality, but a humongous number of applications (10+).